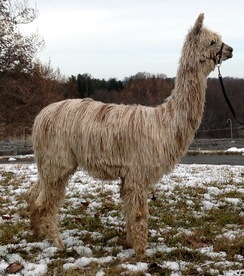 Tabitha is a clone of her mom - large boned, gentle and friendly, with beautiful fiber. She was over 21 lbs. when she was born and hit the ground running! She shears over 6 lbs of usable fiber each year with 3.5 -4 lb blankets. 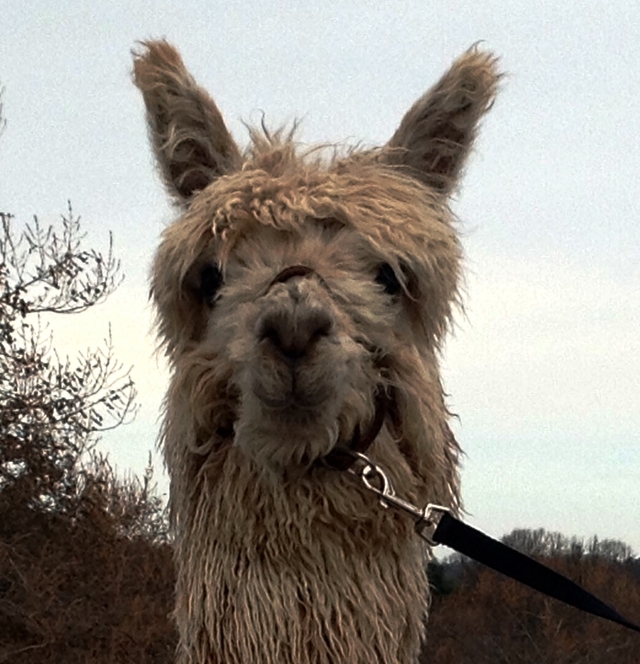 This girl produces sought-after fleece and has a wonderful, friendly personality. She is easy to care for and work around and is curious. It was exciting seeing Sun Spot being born, as we held our breath waiting to see if Fusion could produce an appaloosa from a white Accoyo dam. And boy, did he! Sun Spot popped out with beautiful dark fawn spots all over his body. 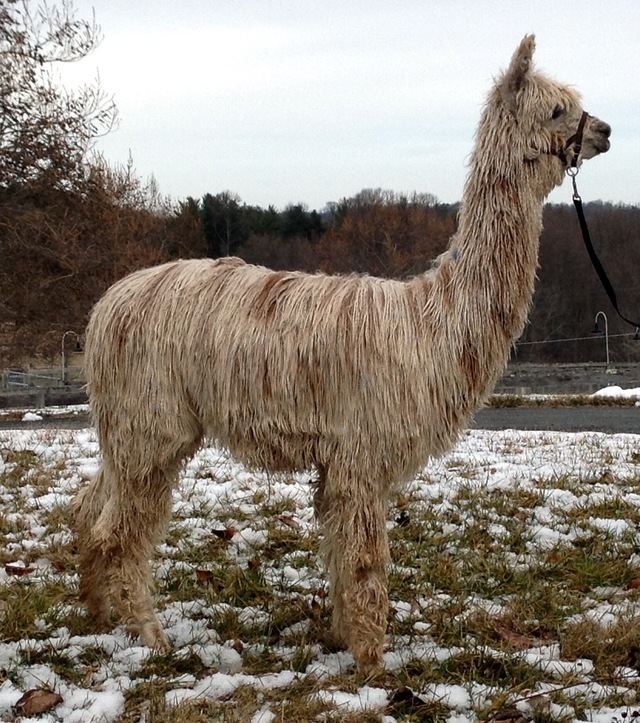 The spots are prominent and his fleece is highly lustrous. He has a great, friendly personality and great conformation. 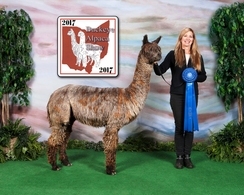 He is sure to be a show winner and an asset to any breeding program. Sun Spot's dam Tabitha is full Accoyo bloodlines from Jackpot and Maurizio lines that have produced top show winners across the country. She has a wonderful personality and is used for PR on the farm on Open Farm Days. 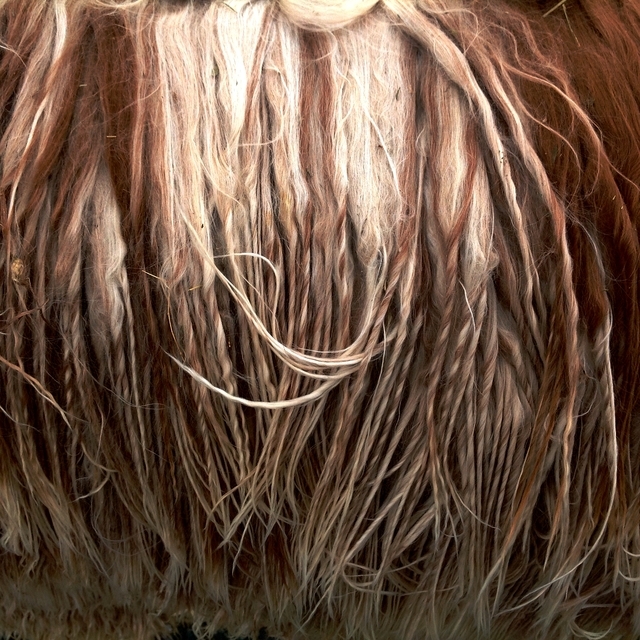 She is a large female with fine, highly lustrous fiber and correct conformation. 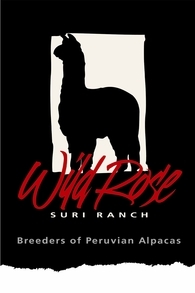 His sire is Shasta Springs Fusion, and 2nd generation appaloosa that produces at least 75% appy crias from different colors of dams. We thrilled that he could produce an appy from a white Accoyo dam. 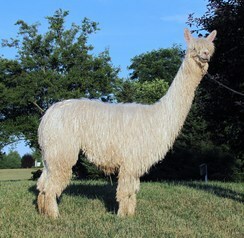 Fusion is closed to outside breedings, but we have females for sale that are bred to him. 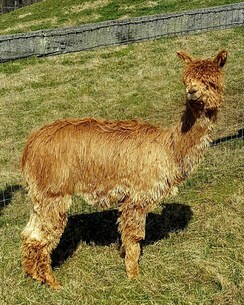 Most have produced an appy cria from him already! Contact Patti at 443-740-4240 to schedule a visit or for more information.